My third graders and I had a little fun studying the classic folktale Stone Soup. We read a few different versions, including a reader's theater version. They really enjoyed the stories, but couldn't believe anyone would fall for that trick! 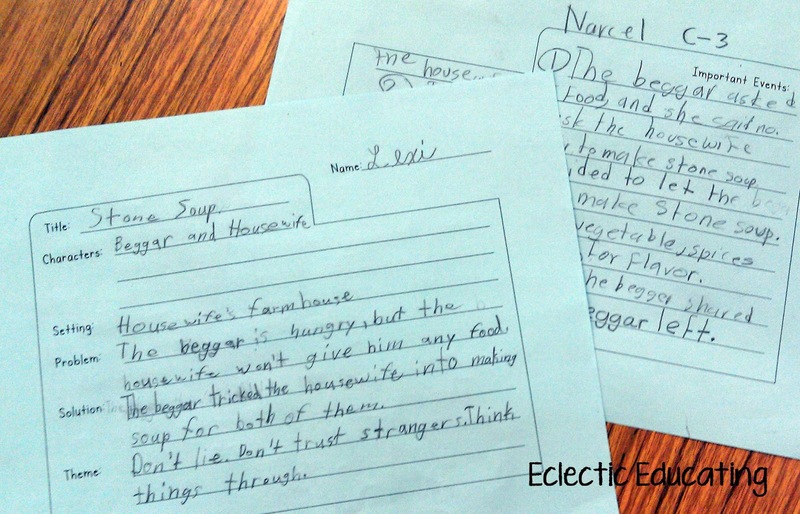 To begin, we read a short story version of Stone Soup. After students read the story independently, we completed a story map. Now, this was not any ordinary story map! It was organized to look like a recipe card. 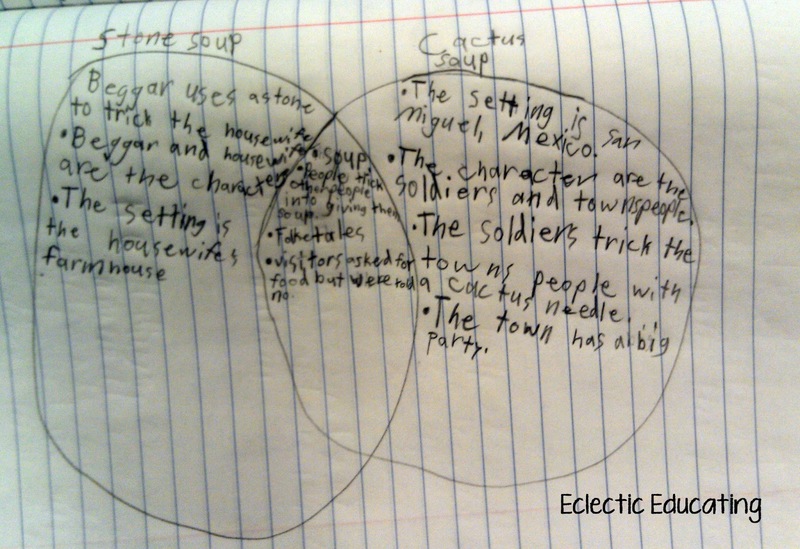 With the internet, I was actually quite surprised that my students recognized the graphic organizer as a recipe card. Then again, they mostly mentioned that their grandmothers used them! On one side of the graphic organizer we identified the characters, setting, problem, solution, and theme. Then on the other side, we sequenced the important events. 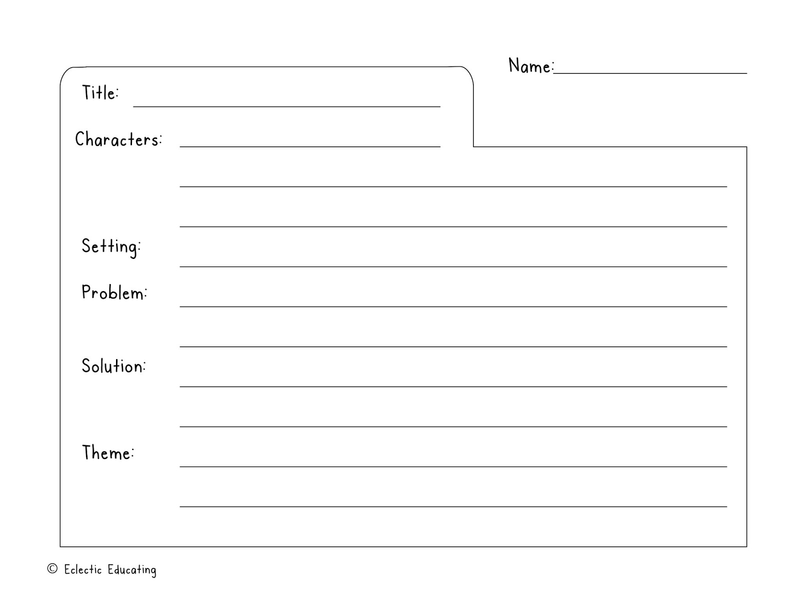 If you would like a copy of the graphic organizer click here, or on the image above. Next, I read aloud Cactus Soup . This story is very similar to Stone Soup, except that it takes place in Mexico and involves a cactus instead of a stone. My students all agreed that a stone was safer to use than a cactus. They thought someone was going to get poked by the needle when they took a sip! After reading both stories, we completed a venn diagram in our reader's notebooks comparing and contrasting the two folktales. I think the stories had just the right amount of similarities and differences to make a good comparison. Next, the students practiced a reader's theater version of Stone Soup. I chose this particular version of the story because it only had two characters, and it was most similar to the first version we read. Also, I wanted students to practice in partners and then perform for the entire group. While students were performing, I recorded their voices on the iPad. The next day we listed to everyone's performances. The students were really excited, but got very embarrassed listening to their own voices. All in all, we had a lot of fun with Stone Soup! What stories do you like to read multiple versions of? Hooray for Reader's Theater! I always love your lessons on comparing and contrasting two versions of the same story...I have them all bookmarked in a folder so I can refer back to them!